The value of a fine rug transcends beyond its color and design. 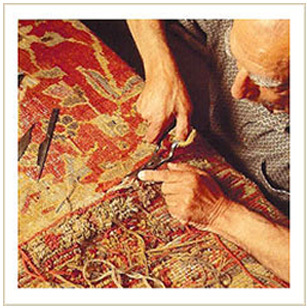 Our craftsmen expertly clean and restore all fine rugs, tapestries and early textiles with the experience and reputation second to none. For regular maintenance, we recommend a light vacuum when needed. Some newly manufactured rugs and carpets can shed yarn fibers for a few months. If loose ends appear, do not pull them, instead clip them with scissors. For liquid spills, immediately blott with a towel dry. For stains hard to remove, we offer consultation, pick up and delivery services by appointment. 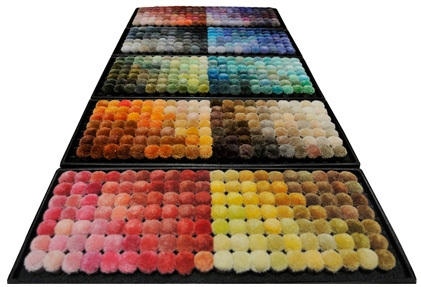 Choose from our extensive inventory, custom make or invent your own original rug. As experts in fullfilling rug requests around the globe, our staff will help to ensure that your end product will exceed your expectations and create a harmonious and balanced living environment.